Put your trust in aFe for every oil changes with this aFe Pro-Guard D2 BMW Oil Filter. Regular oil changes are a normal part of keeping your BMW in great running condition. aFe has been around for years making high quality filters you can trust. So why not put your trust into a name you can count on with this aFe BMW Oil Filter. 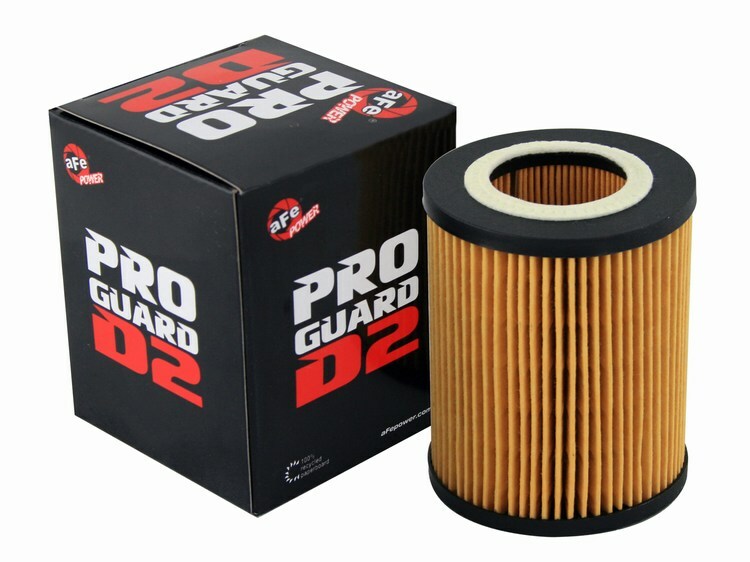 This Pro-Guard D2 Oil Filter is designed to take any and all abuse. BMW's are finely tuned machines, so aFe wanted to out do BMW by increasing the flow capabilities, making it more efficient and at the same time filtering out smaller particles. This aFe BMW oil filter even comes with a built in seal for hassle free installation. Put your trust in aFe for every oil changes with this aFe Pro-Guard D2 BMW Oil Filter.